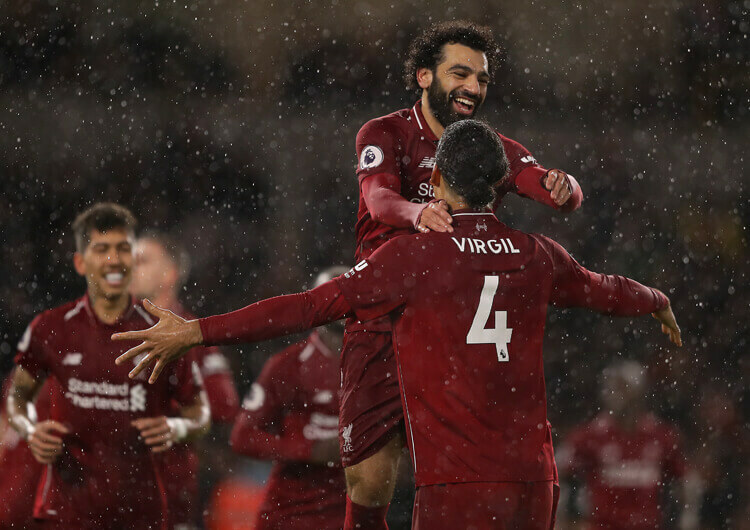 Virgil van Dijk claimed the Premier League Player of the Month award for December, beating off competition from Liverpool teammate Mo Salah, Harry Kane and Marcus Rashford among others. The Dutchman played every minute of his club’s seven league victories from seven in the month, playing a significant part in four clean sheets while scoring his first league goal for Liverpool in the 2-0 win at Wolves. He is the first defender to win the award for almost six years – Jan Vertonghen was the last, way back in March 2013. Liverpool splashed out a world record £75m for a defender to bring Van Dijk to Anfield just over a year ago, but it already looks like money well spent. The Reds have kept no fewer than 20 clean sheets in his 36 league appearances, and this season alone the Netherlands captain has been at the heart of a defence that has conceded only 10 goals in 22 league games – and only three against teams outside the top six. Crucially, Van Dijk has brought stability to the centre of Liverpool’s defence no matter who plays alongside him. The currently injured Joe Gomez (above, right) looked like establishing himself as Jurgen Klopp’s first choice to partner Van Dijk – but Dejan Lovren has started more league games, while Joel Matip and more recently Fabinho have also started alongside the main man. Van Dijk’s size and stature ensure he is one of the most powerful central defenders in world football. This helps in aerial duels, where he is a colossal force when attacking longer balls forward (below). He is strong enough to compete with the most powerful of strikers the league has to offer, while nimble enough to change direction quickly should he need to compete for a second ball. The 27-year-old won 33 of 48 aerial duels throughout December, dominating every striker he faced. The Dutchman is also an incredibly measured and intelligent defender. When he finds himself up against an agile or fast forward such as Jamie Vardy or Marcus Rashford, he always gives himself enough room to cover the movements in behind. Should he need to step across, he can then do so, making use of his sheer size to block forward runs. Interestingly, Van Dijk is not in the top 100 for most successful Premier League tackles this season – and he’s only eighth on the list at Liverpool. 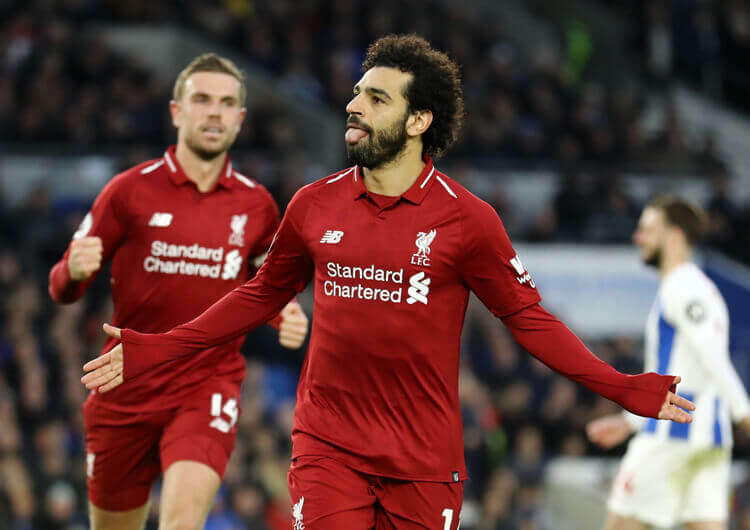 Rather, his reading of the game is such that he relies more on pinching the ball in front of opponents; no surprise, then, that his 25 league interceptions to date is more than any other Liverpool player. Some forwards – Harry Kane, Romelu Lukaku and Olivier Giroud, to name three – excel at pinning their man and securing possession without a defender getting in front of them. However, Van Dijk’s mobility and accompanying ability to start away from his marker reduces this threat, with opponents unable to lock him down in the way they can most other defenders. And, of course, the Dutch captain is always composed in possession. He recognises the best moments to step into midfield – such as above, in the 3-1 win over Manchester United – and won’t do it unless he’s absolutely sure of progressing the ball. Fellow centre-back John Stones – another who likes to step into midfield – may do this more often, but the Dutchman’s greater circumspection about doing so produces more stability for his team. It’s no shock that the Reds have the best defensive record in the league this season. Liverpool’s defensive instabilities in recent seasons have been well documented. Even in 2013/14, when they came so close to winning the Premier League under Brendan Rodgers, they conceded 50 goals – four more than Southampton in eighth. 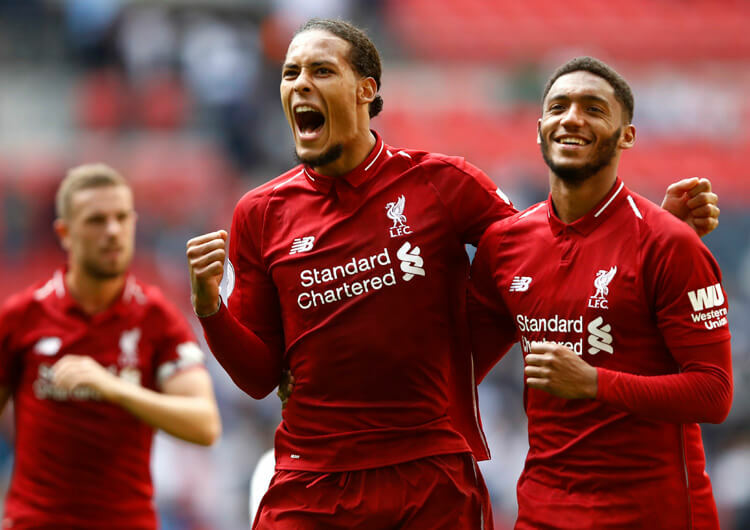 Van Dijk’s clear leadership in Klopp’s team has been evident from the moment he joined, and has without doubt contributed to the development of young defenders such as Gomez and Trent Alexander-Arnold around him. He is a constant source of information, reassurance and encouragement to his defensive teammates – a quality that has arguably been missing from the Liverpool defence since the departures of Sami Hyypia and Jamie Carragher, and which will also have helped new goalkeeper Alisson to settle in as well as he evidently has at Anfield. If there is one area in which Van Dijk has been occasionally exposed this season, it is when attackers make blindside runs in between him and usual left-back Andy Robertson. When facing crosses from the opposition left, the Dutchman often has to manage what is an extended gap between Robertson and his partnering centre-back; the bigger this gap becomes, the more likely Van Dijk is to leave space for an attacker to exploit in behind him with runs towards either near or far post. This happened more than once in December – including at home to Newcastle, above – although the Reds weren’t once punished. It is, perhaps, something to keep an eye on as the season progresses towards what looks a thrilling climax. 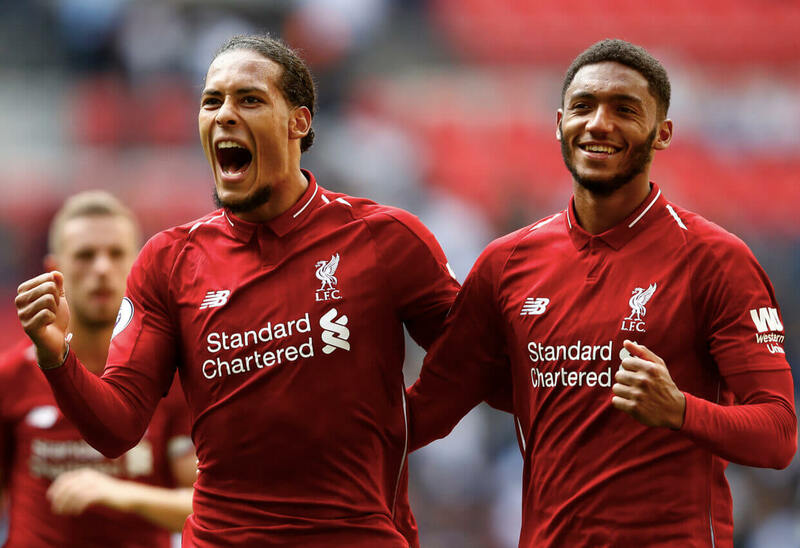 If Liverpool can keep their defensive talisman fit and firing until May, their chances of securing a first Premier League title rise significantly. Was Alisson worth the money, is Mo Salah in the same form as last season, and are Liverpool strong enough to challenge Manchester City for the Premier League?